Maud Fellows had been born to Iowa farmers who had always been faithful, patriotic, and community-minded. They were farmers, members of Rotary and Kiwanis, congregants of the Third United Methodist Church of Christ, lifelong Republicans who broke ranks with their more conservative brethren as millennialists who believed in the imminence of the Second Coming. Their home was a potpourri of their eclectic and often contradictory tastes. Catholic crucifixes, statues of The Holy Virgin, and icons of Saints Michael, Jerome, and Anthony were arrayed next to horrific scenes of Armageddon and the Apocalypse. ‘The Lives of the Saints’ had far less to do with the Fellows' faith than to Christ’s Last Holocaust – Judgment Day, the final accounting, and the resurrection of the body either to celestial paradise or to the consuming, sulfurous fire of Hell. The Fellows were unimpressed with the conventional Christian tales of brotherhood and spiritual devotion. 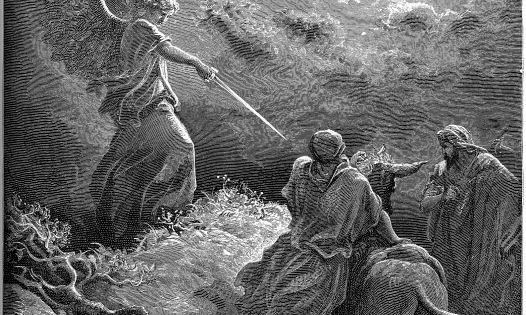 Their belief was beyond even the Old Testament and its ritual sacrifices, blood feuds and sacrifices, and vengeful retribution. It was pagan, pre-Christian, and savage. Of course they never admitted as much, nor erected and venerated images of pre-Christian idolatry. They were conservative at heart, born and conditioned by a very American belief in secularism, progress, and goodness. Yet they felt there was something missing in the prescriptive ceremonies of their faith. The primitive, essential juices of belief had been squeezed dry. There was nothing left of the supreme sacrifice of Jesus – bloody, tormented, disgraceful – other than Sunday observance. The world of Fellows Père and his family was one of extreme religious belief – more reflective of pre-Colombian Mesoamerica than than the logical postulates of Athanasius, Augustine, and Aquinas. Religion was nothing if it did not embody the very sensuous and passionate trial of Our Lord. When captured by the Early Church theologians, the passion of Christ became disembodied, intellectual, and lost. Maud was caught between two worlds. She was being educated as a thinking, reflective, objective young adult for whom only logical exegesis mattered; but had grown up in a world of fanciful extremism. How was she to square the logical, deductive monographs of Tertullian and Chrysostom with the emotional passion of personal, emotional belief? As fate – DNA, parental influence, social mediated milieus – would have it, Maud did not become a street-corner evangelist or Union Square preacher. She turned out to be a logical thinker and secular apologist; but had a nativist suspicion of objectivism. There was simply too much of myth, Freudian primitivism, and fantasy to reject out of hand. Why, she wondered, was the world so fabricated on assumed reality? Why was everything decided on the basis of ‘fact’, actuality, and ‘objective’ observation? Why was there no room for subjectivity, even that which wandered far from the tried and true? Most people were certainly defined by expectation as much as they were by probability. Most people valued Hollywood as much as Bell Labs or MIT. Had not fantasy, imagination, and the possible been neutered? The accession of Donald Trump to the presidency of the United States was the first political event to have ever piqued the interest of Maud Fellows. Here was a vaudevillian, circus performer, and carny barker who had finally and ultimately resonated with the American people. He was outrageous, politically absurd, and an absolute, unreconstructed, un-recondite non-politician who was the perfectly American President. Maud’s friends and colleagues didn’t know what to make of her enthusiasm for Trump. To them he was the incarnation of racism, sexism, homophobia, and nationalism; a hated reprobate who had one the election on a technicality at best and at the hands of Ku Klux Klan Biblical sympathizers at worst. They could not understand how Trump’s politics meant little; but his Las Vegas, Hollywood, New York mean streets agenda meant everything. The tide had finally turned in America. Cultural – not political – populism was finally having its day. Donald Trump waved a long-overdue farewell to supposedly logical, objective political philosophy and welcomed a new era of subjective, passionate and non-rational electoral politics. Maud’s enthusiasm was by no means only political. Her dismissal of the sententious was but one edge to her take on life in general. Why on earth did people take themselves so seriously, she asked herself, when history, let alone current events displayed nothing but the absurd? 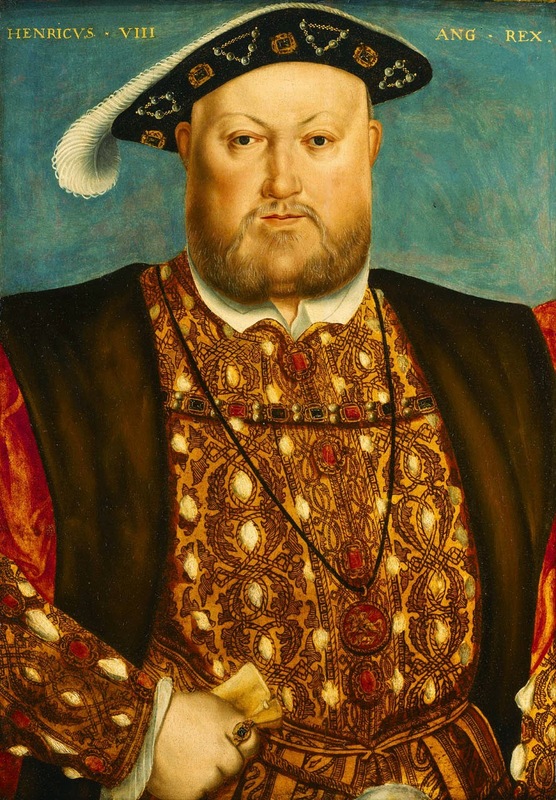 Was Henry VIII anything but a comic figure with his eight wives, desperate hopes for a male heir, and nasty disputes with the Vatican? Were the Crusades, despite their attempt to retake Jerusalem for Christianity, anything but European desires for cultural and political hegemony? Plus Ça Change is the absolute, unchangeable dictum of history. And if the events of history continue to repeat themselves ad absurdum, then how can anyone take them seriously. Which is why Maud Fellows had nothing to do with politics or religion; and preferred to watch old movies. There was something durable if not ineffable about Bette Davis, Errol Flynn, and Claude Rains; or South Pacific, A Star is Born, or An American in Paris. Is Hollywood simply an American idiom, a cultural icon without substantial depth? Or is it the best and most enduring example of America? While most Americans recognize and admire Bill Gates and Steve Jobs as innovators who fundamentally changed the nature of American communications and culture; they still look to Hollywood as the arbiter of taste and culture. We go as Jennifer Lawrence or Jason Bateman go. Popular culture is often dismissed as the refuge of the uninformed middle class – a place to hide, a comfortable, feel-good redoubt – but it is anything but. It is America. Donald Trump is the first real American president in decades. While Bush, Clinton, Reagan, and Nixon may have reflected particular political views, Trump is popular America. Maud Trump was an enthusiastic Trump supporter – not because she supported his views on the wall, taxes, or Western values; but because he was an unashamed vaudevillian. Only the sanctimonious Left takes his tweets seriously, or his international bombast, or his ridiculing of progressive electoral wounds. Maud loved his outrageous, fanciful rejection of Leftist and American sanctimony. Her dismissal of cant, proprietary ownership, and sanctimonious posturing did not end with politics; but extended to the desperate wannabes of American society -those hoping for a new, if not returned messiah. Maud Fellows was not content to carp from the sidelines – to dismiss presumptuousness and rightful place – but to claim that the vaudevillians, the magicians, and the comedians should inherit the earth. Given millennia of repetitive, predictable human history and their wars, civil conflict, and depredation; and the advances in art, culture, and civilization at least in part thanks to them, wasn’t it time to acknowledge the clowns? Only those with a humorous, disaffected, and disengaged point of view are moral, for they have understood history and the vanity of assumed righteousness. Maud Fellows was the daughter of serendipity. She had been born to and been brought by natural skeptics and true believers. As such she had an appreciation for the power and failings of intellectual insight and of the glory of true, uninhibited fanciful belief. Her political and religious diffidence and indifference won her few friends and supporters in a world of exaggerated political commitment and spiritual faith; but she paid them no mind. She had had her epiphany early on in life and was unlikely to be swayed by anyone from then on.